Waterfront Restaurant serves fresh seafood and a thoroughly sustainable and organic menu, buying from local farms located within 200 miles. All our meats are prime and every item on our menu is homemade. "Don't move a mussel -- we'll take care of dinner tonight. " "“One cannot think well, love well, sleep well, if one has not dined well.” -Virginia Woolf"
"What's your favorite drink to order here?" "Warmer weather means it's time to enjoy our outdoor seating. " "Thanks for rescuing the wine that was trapped in this bottle. " Yes, I'd like to receive news from Waterfront Restaurant. 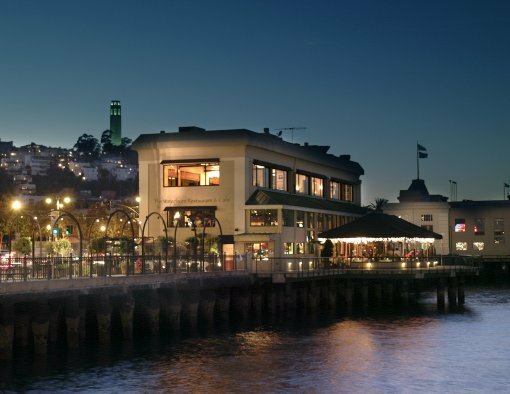 Sign up for the Waterfront Restaurant Newsletter!